Feeling tired? Tense? Or just having difficulty relaxing and sleeping? If you’re regularly dealing with any of these issues, chances are stress is the culprit. And you’re definitely not alone. According to a recent poll by Cosmopolitan magazine, about 71 percent of women said they have experienced an anxiety or panic attack. And 40 percent said that anxiety due to stress prompted them to seek medical help. A survey by the American Psychological Association also revealed that 49 percent of women said they have lain awake at night in the previous month because of stress. 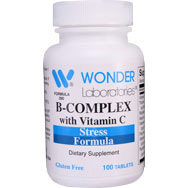 It also showed that 39 percent of men were fatigued because of stress, as well as 41 percent of women. While stress is a natural reaction to certain situations — such as being startled during a horror movie, other factors can lead to chronic stress and those feelings of fatigue, tension, and restlessness. 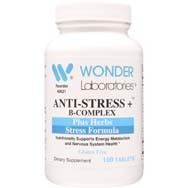 Stress also can lead to other varied symptoms, including depression, tense muscles and an inability to concentrate. When you’re feeling that stress is getting the best of you, tame your stress levels by following these 4 tips. Whether it’s simply walking, running, weight-lifting or aerobic routines, exercising can boost your endorphins — those neurotransmitters that can boost mood. Try to fit in some type of activity at least 30 minutes a day. 2. Practice deep breathing techniques. Yoga can help you practice proper deep breathing techniques. However, you can take time out of your schedule throughout the day to focus on taking deep breaths. Breathing from your abdomen for about 20 minutes – slow deep breaths – increases the supply of oxygen to your brain which, in turn, promotes relaxation. 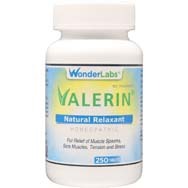 Some herbs, particularly Valerian Root and Passiflora, have been used for decades to support restful sleep and promote relaxation and calmness. 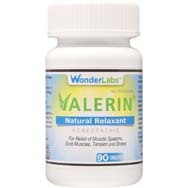 Valerin® contains both of these herbs — 6 parts Valerian Root and 3 parts Passiflora. 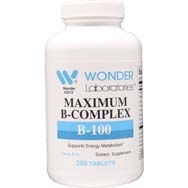 It also has 1 part Magnesium Carbonate which nutritionally supports a normal blood pressure and steady heart rhythm. 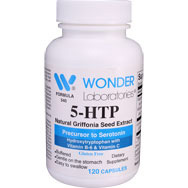 When taken regularly, this product can help you manage stress. If you’re feeling overwhelmed because of stress, it’s always best to seek counseling or medical help.